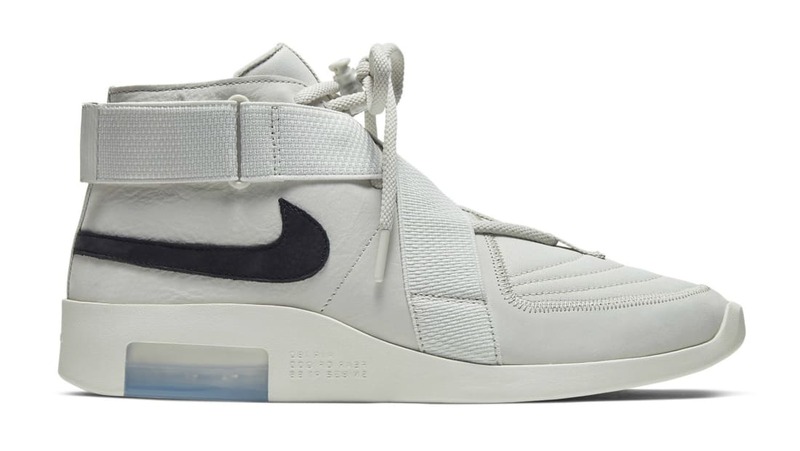 The Nike Air Fear of God Raid will feature a premium light grey tumbled leather, paired with suede on the toe box. A contrasting black Swoosh logo wraps around the heel, which sits atop a double-stacked Zoom Air unit. Release date is Apr. 27, 2019 at a retail price of $190.